Børge Mogensen’s (1914-1972) creative process produced long-lasting pieces with humans at the center. He became a highly influential post-war designer and a leading representative of Danish Modern. Mogensen’s democratic design included simple and functional wooden furniture for both private and public spaces, with calm aesthetics and strong construction from quality materials. He believed in visual clarity and minimal decoration or experimentation, as seen in his classic Hunting Table and Deck Chair Set. As a student at the Royal Danish Academy of Fine Arts, Mogensen was inspired by Kaare Klint’s use of human proportions with visual calm and functionalism. Mogensen, however, also placed emphasis on informal interior décor and the use of modern production facilities. Mogensen completed his cabinetmaker training in 1934, followed by studies in furniture design. During this period he worked in the studios of Klint and Mogens Koch until he was hired as chief designer for the Danish furniture cooperative FDB in 1942, where he pioneered democratic design. He began his own design studio in 1950, making modern, useful furniture produced from local, Nordic materials. His inspiration, however came from many cultures and styles, including international modernism, ethnic arts, Japanese carvings, and historic works. Competition for Low-Cost Furniture at the Museum of Modern Art in New York, which he entered together with his friend Hans J. Wegner. 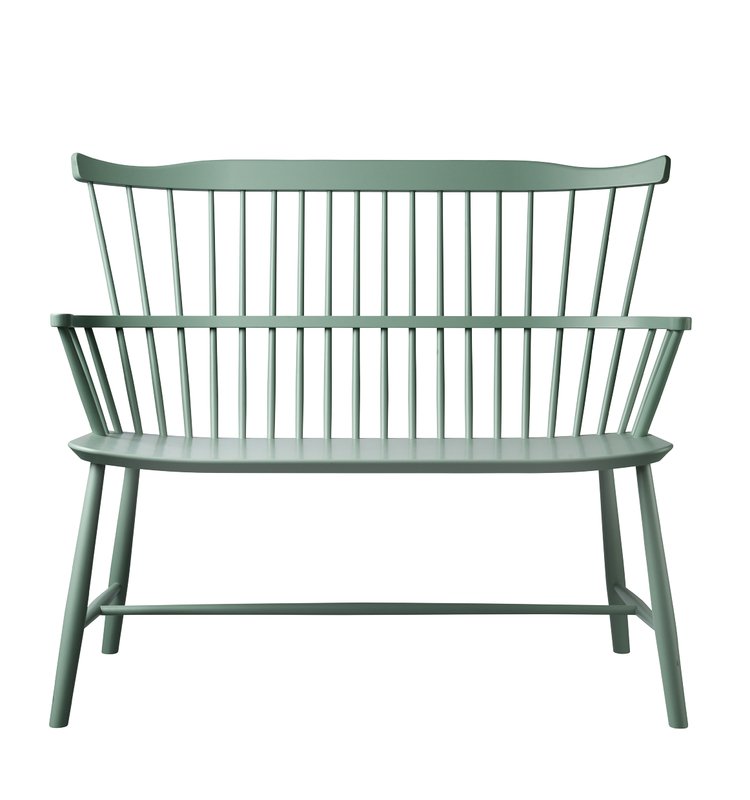 He was awarded the Eckersberg Medal in 1950 and won the Danish Furniture Prize in 1971. In 1972 he was awarded the C.F. Hansen Medal and appointed Honorary Royal Designer for Industry at the Royal Society of Arts in London. 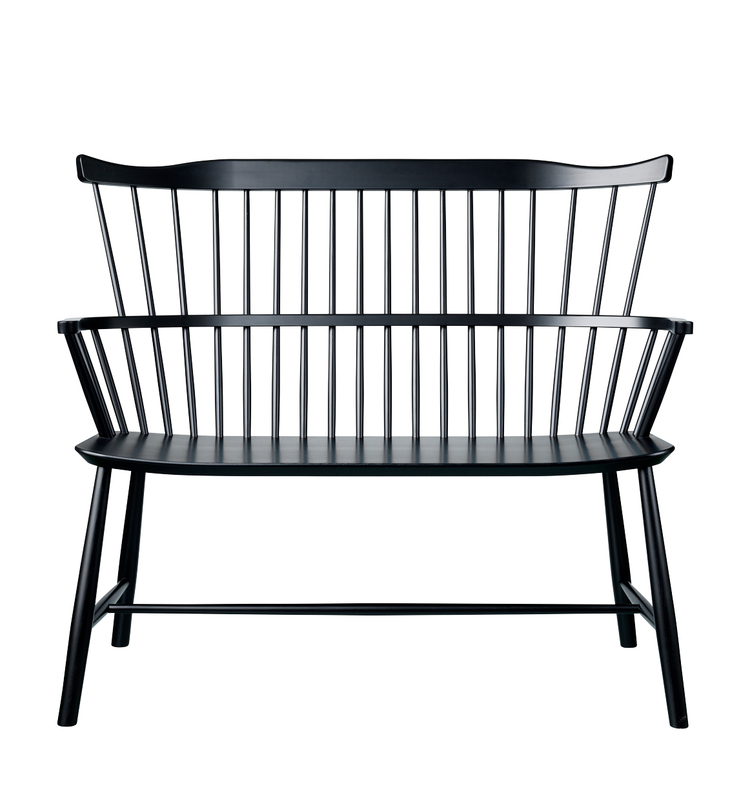 The J52 collection designed by Børge Mogensen in the 50's is composed of a chair, a rocking chair and a bench, the three of them both complementary and distinct. The iconic J52B chair is not only one of the most emblematic piece of furniture of FDB Møbler, it is also a classic that has known success all around the world. 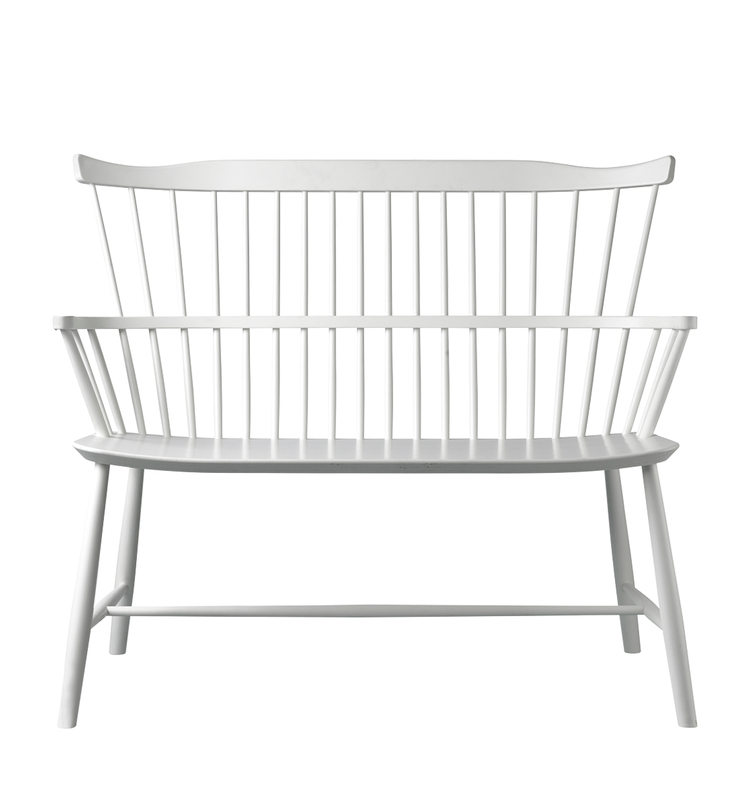 Sold in the United States the J52B chair became President Kennedy’s favourite lounge chair. Its timeless elegance allows it to blend into any interior. 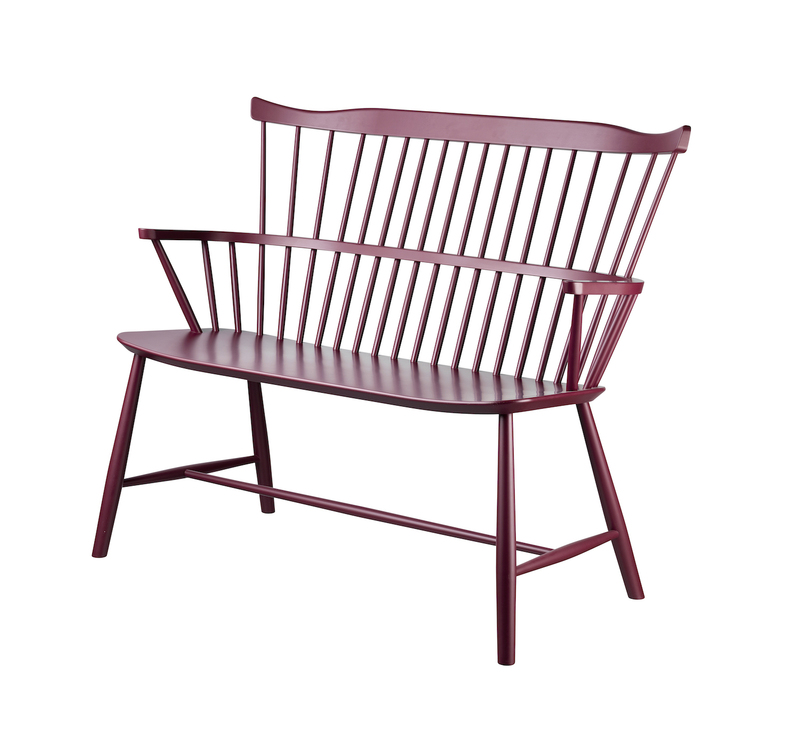 The J52 expanded with the addition of the J52G rocking chair and the J52D bench. 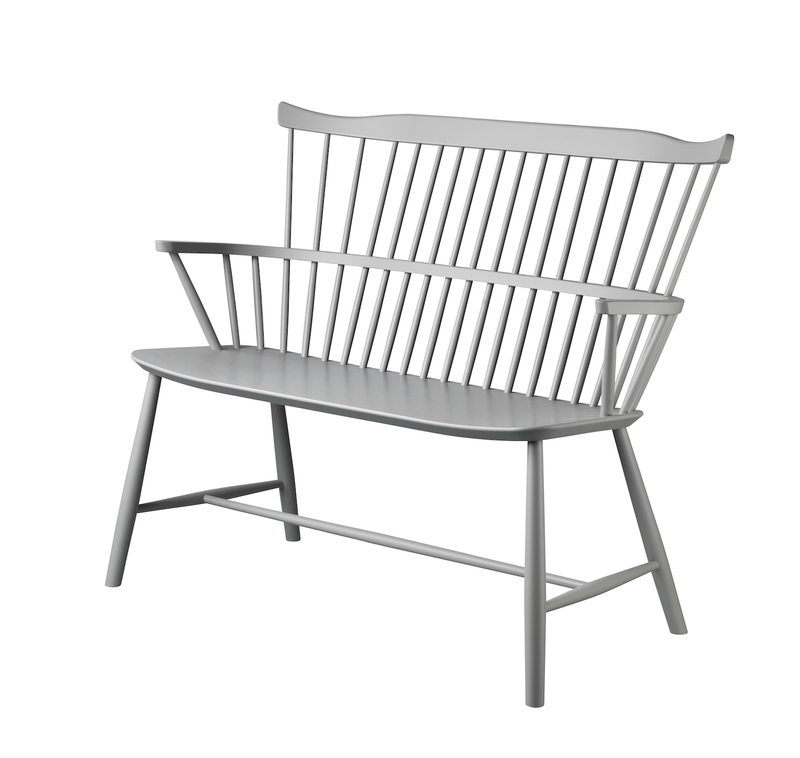 The J52G rocking chair and its round shape invites one to lull oneself to sleep or relax. As for the J52D bench its wider seating space is harmonious and functional welcoming conversation and relaxation. Alike the rest of the J52 series the J52D bench can be enhanced with a seat cushion, making it even more comfortable.